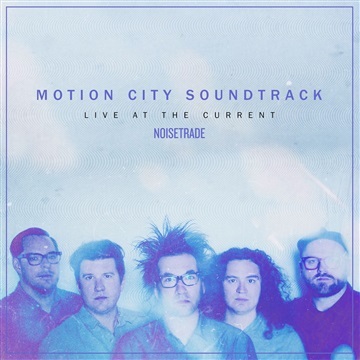 Motion City Soundtrack performs live at The Current studios in their home town of Minneapolis. The set features two new songs off their album Panic Stations, and two classics from their 2005 break out, Commit This To Memory. The Current Sessions: Produced by David Campbell, Engineered by Mike DeMark. Panic Stations: Produced and Recorded by John Agnello. Additional Engineering by Nick Tvietbakk. Recorded at Pachyderm Studios, Cannon Falls, MN. Mixed by Marc McClusky. Mastered by Howie Weinberg at Howie Weinberg Mastering, Los Angeles, CA. Assistant Mastering by Gentry Studer at Howie Weinberg Mastering. Additional production by Mike Sapone. Recorded at Sapone Productions, Bethpage, NY.